Have you ever noticed kind of a gap? Sometimes it feels like there’s a bit of a disconnect between me and my non-homesteading friends. Ever been there? Thankfully, considering I’ve been chasing this homesteading dream for about 7 years now, most of my friends/family now understand that Jill is just weird. And they’re used to it. No one even raises their eyebrows anymore when we bring home a new farm animal or start building a new structure/fence/tractor/whatever. But then there are those other times when I happily run to town in my muck boots, hair adorned with bits of hay, and manure-smudged jeans, and I see someone who doesn’t know me very well… And I suspect they think I’m a bit of an alien. Or just a slob. Or maybe a little bit of both. Sometimes I wish I could just send them a post like this before we get to know each other, so they have a better understanding of my crazy lifestyle. Because, ya know, us homesteader folk are kind of our own breed of weird. Those days where I milk the cow, then make bread, then write a blog post, then help hubby with a fencing project, then jump on a quick phone call, then experiment with a new DIY recipe, then do a bit of garden work, then linger outside at dusk while doing evening chores, then check email before rolling into bed? Those are are my favorite days. I love every bit of them. Once you have the experience of looking down at your plate and knowing where each and every component came from, you’ll be hooked. It’s the best seasoning there is. Like anyone else, we homesteading-folk prioritize what is important to us. So while you might think we are Super Human as we milk our cow, grow our own salads (AND make the dressing…), and whip up batches of homemade mozzarella, know this is simply where we’ve chosen to spend our time. 6. We know it’s easier and faster to buy _____ at the store. But we still want to make it ourselves. 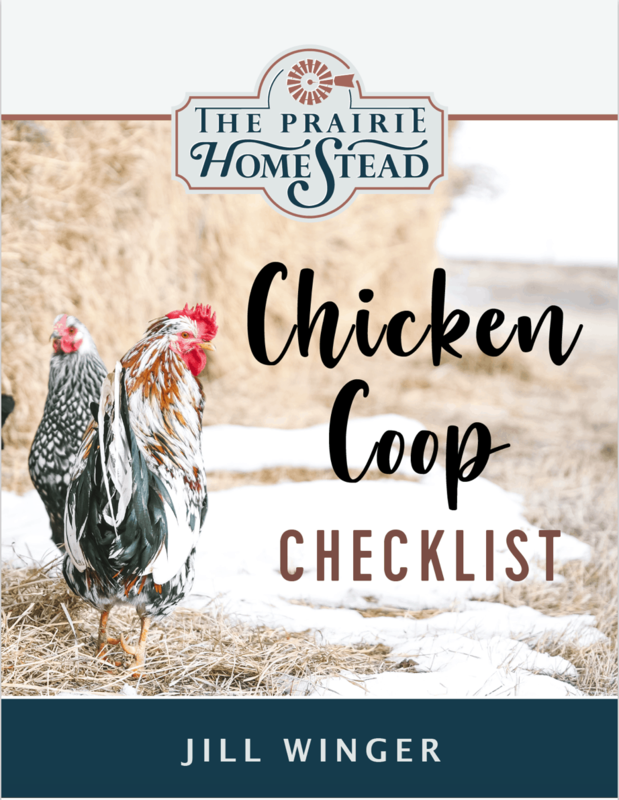 If there is one thing to know modern homesteaders, it’s that we hardly ever choose the “easy” route. Buying milk is infinitely easier (and cheaper) than keeping a milk cow. Buying French bread to go with your spaghetti dinner is way easier than making bread from scratch. Buying neatly wrapped meat at the butcher counter is far less messy than raising or butchering meat yourself. This homesteading-gig is empowering. And fulfilling. And an adventure. But easy? Definitely not. But for some reason, that doesn’t bother us. We’re just weird like that. The way I see it, modern homesteading is all about mixing the best of the old with the best of the new. To be perfectly honest? I don’t want to take a bath in a small tub while someone pours hot water over my head. I rather like my shower, thankyouverymuch. I also very much appreciate my dishwasher and washing machine. Can I live without those things? Yup. Do I think it’s wise to be prepared in case there is ever an event that takes down the grid? Sure! But in the meantime, I’m thankful to have electricity in my homesteading efforts. The old-fashioned homesteading lifestyle is one we heavily romanticize. And while there are definitely romantic parts to it, I’m careful to recognize that our homesteading ancestors lived the way they did out of necessity, and simple survival consumed a huge part of their day. And yes, if Ma Ingalls could have had a washing machine, I’m willing to bet she would have loved it. 8. We actually like living a bazillion miles away from town. Um, if you’re trying to convince me to buy a house, that’s not the way to do it. Quick Side Note: if you *do* live in town, know that it’s still very possible to still homestead. You absolutely can live 5 minutes from Wal-Mart and still have a blossoming garden or even chickens. I’m a firm believer in that! But for those of us who do live far from the grocery store, know that we prefer it that way, so you don’t have to feel sorry for us. I know living this far out isn’t for everyone, and some people really, truly want to be within walking distance of the grocery, but my 40 mile drive doesn’t bother me in the slightest. 9. Scooping poop is better than therapy. When I’m feeling stressed or angry, I stomp down to the barn, grab my pitchfork, and get to work. The negative feelings melt away with each scoop I toss into the wheelbarrow. 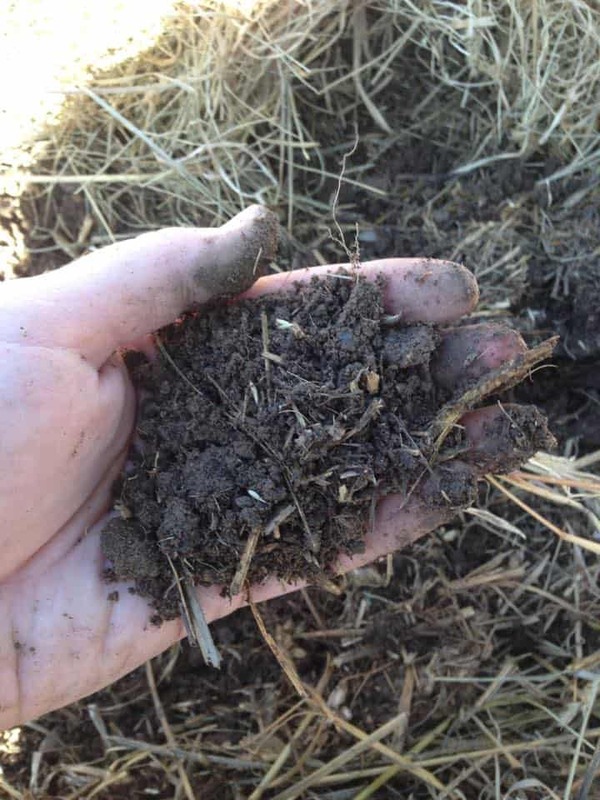 Side-Note: When you’re a homesteader, poop isn’t gross– it’s beautiful. Poop turns into compost which magically nurtures the soil and your plants. Embrace the poop. 10. If we don’t answer our phone, we’re not ignoring you on purpose. Sometimes we get so absorbed in the latest project, our social life goes out the window. Not always, but sometimes… At least for me. I’m pretty horrible about meeting friends in town for lunch or play dates… It’s not that I don’t want to see them, it’s just that my brain is usually preoccupied with my latest homesteading mission. For the non-homesteaders reading this, if you want to see more of your homesteading friends, may I suggest offering to help them put up tomatoes? Or pick apples? Or butcher chickens? They’ll love the extra set of hands and companionship, and it’s rewarding to accomplish stuff as you catch up. So… can you relate at all? 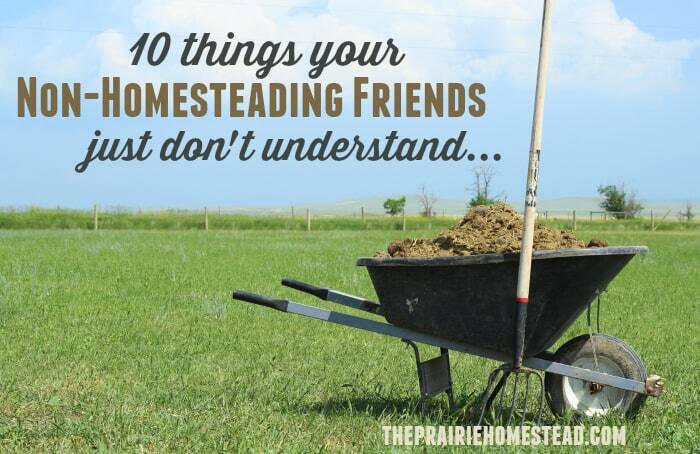 What other things would you add that your non-homesteading friends just don’t understand? Leave a comment! Yes you are so right I live in the woods don’t go to store every time I mean something I make it. Jill, you are my role model! I am on the older side and only ave 12 acres, 3 horses, chickens and dogs. 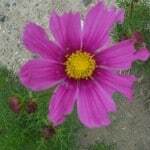 This year I am starting my garden seeds from scratch, and adding another garden space. When my 4 children were small, I had a garden and canned and preserved all I could. Now I have 9 grandchildren, and I hope to pass this love of the land on to them. I also teach school-so busy? Heck yeah and I love it! Thanks for all you do! I LOVE this article. I am posting this on FB and emailing it to family and friends that just don’t get it. I love the last one about not answering the phone. Most of my friends (and my constantly worried mother) don’t understand that when I’m working outside I don’t have my phone strapped to my hip nor would I want to answer it with compost covered hands. Its such a rarity these days for people not respond to a text within 2 minutes that it becomes and guilt ridden burden to leave the phone behind for a couple hours. I love the break from it! My friends have just come to think of me as flaky but I don’t argue with them because they just don’t get it. I live in the country, but the nearest Wal-Mart is less than 10 minutes away. I live on 8 acres that raises nearly all of my family’s food. We have cattle, chickens, turkeys and lots of garden space. Even though I live close to a store I plan my grocery trip for every 2 weeks. I do this by making a menu based on what I have on hand until the next shopping trip. This eliminates those last minute runs. I even do this with my livestock feed. I purchase enough to last 30 days at a time. This way I am not wasting time and gas running to get feed. I rarely go to town. My hubby and I rarely eat out. And quite frankly, I don’t want to leave my farm. This is what my friends think is so strange. I never want to go anywhere, unless it is yard sales or a local auction. That is my kind of shopping. Lol! Love this post. Thanks. Oh yes– I totally get not wanting to leave! Our homestead is my favorite place in the whole wide world. Everyone else goes to the lake or the park on the weekends, and I am SO happy to just be hanging out doing projects and soaking it in on my front deck in the evenings. Paradise! I feel exactly this way, though my 6 acres are close to town. I I would love to move to a more remote place, but every time I start looking, something comes up to need modern medical. The latest is that my replaced ankle needs to be replaced again. That throws all the work on DH and it definitely isn’t his choice to have all the work. So yesterday my alpacas and most of the chickens found new homes and before the surgery, all but three sheep have to find new homes. It is definitely not fun to age. I am so sorry! Best wishes for a successful re-replacement and a full recovery. In total agreement! Sometimes I’ve wondered what is wrong with me? I never want to go anywhere, I’m so content to stay on the farm with my family and animals. Thanks for putting a voice to our homesteading lives!! Good for you! You are perfectly content and I love the way you have those trips to town planned out! I need to work on the menu planning! You give me encouragement!!! OMG this is so true!! I love it! Spot on for me and so many of my friends! Sharing on Facebook and Pinterest! We are just starting to work on our little homestead but can relate to SO many of these already! Love it! I couldn’t have said any of this better myself Jill! As a Homesteading, mom of 6 with a pleasantly full schedule. Jill, I feel like we were separated at birth and are living parallel lives. I absolutely adore your blog and look forward to each email. We’ve been living the country dream for 13 years but we’ve always been homesteaders – even in the city. We just recently expanded our “operation” to include Dexter cattle and I’m relying on your experience to better educate myself. thank you so much, this is so true and had to be said! My hands are now stained with Strawberrys from making jam. If my husband is not working his pt job, he’s out on the homestead working. We sleep at night early, and start all over again the next day. This is a perfect explanation to the comments I get in the office, like this morning after having to put on rain gear to go out in the pouring rain to open the chicken coop get fresh water and check on the horses then dress to come to the city to play office. I love my morning routine; letting the chickens and ducks out, checking the bee hive and our small garden, then its time to go in and get ready for work. By the time I get to work I’ve been up for a few of hours and everyone else seems to have just rolled out of bed. They all look at me with sympathy and have said they feel bad because I have so much to do. I love what I do. I’d also love to quit work and stay home all day and expand our homestead even more, but we have children and they’re not free ? My afternoons are busy with sports and free outdoor activities around town with the kids. Being close to town and being able to do what we do on a little less than an acre is great. Sure we’d love to move out and get more land, but right now our children are our main priority and their schooling is very important to us. I always wanted to homeschool and look up to those who do, but our children have benefited from the public schools in a way we never could have imagined. So for now, I’ll keep working, watching the kids blossom and grow into incredible young adults, keep chickens, ducks, bees and our little garden. I’ll squeeze in time to can or make preserves and volunteer at the farmers market or the local csa. Like Jill said, some people feel pity because were “so busy” but I love it. YES! I love your uncanny ability to put these tidbits we all experience into words! And the “poop isn’t gross– it’s beautiful” part, had me laughing out loud! Embrace the poop ya’ll! This post is the perfect heart to heart to explain our weird behaviors. LOVE IT! Blessings to you and the rest of your awesome family! ps- do you have a milking pail that you love? I’m in the market for one that’s easy to clean and sterilize, thanks! I got my pail off eBay a long time ago. It’s been great for me, but hard to say if they still have them. Try a feed store. We always bought ours at one. For what its worth, I hand milk into a small stainless steel saucepan as my Daisy moves around a bit, then as it fills I dump that into SS bucket hanging on wall. For my situation, milking directly into SS bucket would be disastrous. There are times working in the garden and lose track time and have to pick my little one up from play group with dirty hands and knees. Your right, I have gotten some looks. I will never forget finding my first egg. I felt like a proud parent. The best is the look I get when I tell my older son’s friends we don’t have cable TV. I love that! My husband and I have a tv but all it will play is DVDs. We aren’t hooked up to anything! And many people look at us funny when we say we watch Hogan’s Heroes, Petticoat Junction and Andy Griffith! But I love it, it doesn’t dominate our day! I’m in my mid-twenties attempting to homestead (sort of), work full time and start a heritage meat company on the side. My friends think I’m insane for wanting to wake up long before the sun, spend a couple hours on chores before heading to work and for wanting to spend all of my free time with my animals instead of going out and partying. Frankly, I can’t understand why they wouldn’t want all this. I wake up early morning knowing my day will be full yet fulfilling, and while we struggle to pay the bills sometimes, we are still rich beyond all measure. Great post! I’m the same way Rose– I truly cannot fathom why EVERYONE isn’t wanting to homestead… hehe. Love it! I dreamed for years of having a farm and people would always tell me “oh you don’t want to do that, it’s such hard work”. I don’t know what people are thinking. It is the most rewarding thing ever. I’m so thankful to have our land, animals and garden that keep me busy. Learning new skills and getting muscles from milking my sweet Lexi is so much better than sitting on the couch trying to keep up with Hollywood. I wouldn’t trade this hard work for cable t.v. if I was paid a sweet salary to do it. I couldn’t agree more Poppy! People miss out on the amazing rewards of hard work. I loved this article! Even though my husband and I are not 100% homesteaders we still have two big gardens and chickens and live on a dirt road off a dirt road. I love canning food and make a lot of stuff from scratch and I know that intimidates some of my friends because they don’t have the skills we do. But you said it so well, we just enjoy it. And I always feel so proud when people come over we show them our gardens and give a ton of home canned goods away to people who just don’t know how to do it. I love showing my friends how to make jam or pickled beets. I’m so happy to share my knowledge with them. And it’s completely addicting. Now that we have some, we keep wanting more because it is so rewarding! So true! 2 & 4 oh goodness, the times I’ve tried to explain those to others. 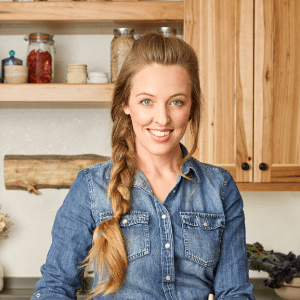 You are DEFINITELY a homesteader at heart Steph! I love the part about being glad you have a washing machine and dish washer. I have homesteading friends who feel it isn’t really homesteading if you have appliances. I too could survive without electricity if I had to, but I’m going to put that extra time I save using my washing machine to good use doing all those other things “city folk” think are crazy! That is so right Joy! We lost power the other day and it’s fun for a few days, but it got me thinking if I could live without power full time. The number 1 thing I would miss the most was water and therefore the washing machine and a nice hot shower! Of course we could learn to live without them, but the time washing clothes by hand could be put to much more productive use! here in Nova Scotia. Bravo. I wish you continued success and enjoyment in your hard work. Be well. Yes, it makes me so sad to see how many folks hate their jobs. I wish more people could have the fulfillment I do. And congrats on your garden endeavors! Loved your article. I am 66 years old and I believe just as you do. I love mixing the new with the old. I lived for 20 years in the middle of a development and I still had a garden. As little as it was it still brought us pleasure. When my husband retired we moved further out on an acre plot. We are busy with chickens and a garden and I believe it keeps up healthy. Physically and mentally. We feel prepared to take care of ourselves. It’s a great feeling. I agree Karen– this lifestyle is SO wonderful for keeping you physically and mentally sharp. It IS a great feeling. I love the life style I have chosen! Its worth the hard work, the sweat, the heat and from time to time the tears; but in my life, this is the most rewarding hobby and work I could give myself and my children. And yes the “non-homestead friends” raise an eyebrow when I get excited about my garden, tell them that I spent 4 hours slaughtering chickens (some of them have gone pale at that one) or squeal with delight as a new chicken lays her first egg; but I’ve finally begun to accept that. (And I do cringe when I hear my friends talk about “eating chemical foods, breaking a “little sweat at the gym, getting manicures, using margarine, etc.”) But this is the lifestyle I have chosen, and as time goes my ring of friends fills with more homesteading friends (either because I’ve converted them or I’ve just met more) expands. And I love seeing new pictures of their cow and chicks! Thank you for this reminder! Best post ever! It made me smile. I don’t even own a cell phone anymore, and I find it rather freeing 🙂 And I love working in my garden, it really does clear the mind. This is me almost to a T! 🙂 I’ve been meaning to write this very post to share with my friends but you do it, thank you! Note I can go plant more strawberries and stop thinking about how to say all that 😉 I’ll be sharing this post of you don’t mind! Bless you! I think we’d be friends if we were neighbors! Amen! Even though we live in the city (and bees are the only livestock we have) these are all 100% true. Hubby’s guy friends are even starting to be big fans of all my homemade foods and natural remedies! Keep up the great work…I really like reading your articles! Jill, thank you for this post. My family thinks I’m crazy but I love this life and I couldn’t help but laugh about the grass mowing I was so irritated with my teenagers who didn’t get their chores done yesterday I immediately went out side and started cutting grass very fast I might add. Thanks for all the great posts. I absolutely love this post. It is fantastic and I can just share with my non homesteading friends to explain some stuff….which will leave me more time to play in the garden! Sharing all over! I would add one more to the list. Social life isn’t easy when you farm. You can’t just drop everything or go on trips. People get annoyed with us cause we just can’t leave. Yes– amen to that Michelle!! Jill! I LOVE this post! This is SO true to me and my family. I shared with my mom and we both were like, “Yep, yep. That’s me!” We’re darn proud of who we are! 11. Please understand that if you show up at meal time in the summer you may end up with grilled cheese and watermelon because the work doesn’t stop because you came. I’m grateful for the visit but could you pull those weeds over there? Great article. Everyone else can pay for their gymn membership. I will continue to muck stalls, haul hay and spread compost. This is the life we chose, and it works well for us. Farm workouts are the best! I absolutely loved this and felt it so much described us. Now it would help if people would stop judging me by my housekeeping. None of my children even understands this. THIS is perfect! I am 20 years old and have been trying to farm/homestead while I am working through college. We have specialty and heritage chickens which I sell chicks and eggs from and we are raising our own hogs for meat. I am also trying to get into nubian goats for milk. So every evening and weekend we work outside instead of going out to town and people our age just think we are nuts! but this is the kind of life I love. Oh wouldn’t it be so fantastic to share this lifestyle with our friends! 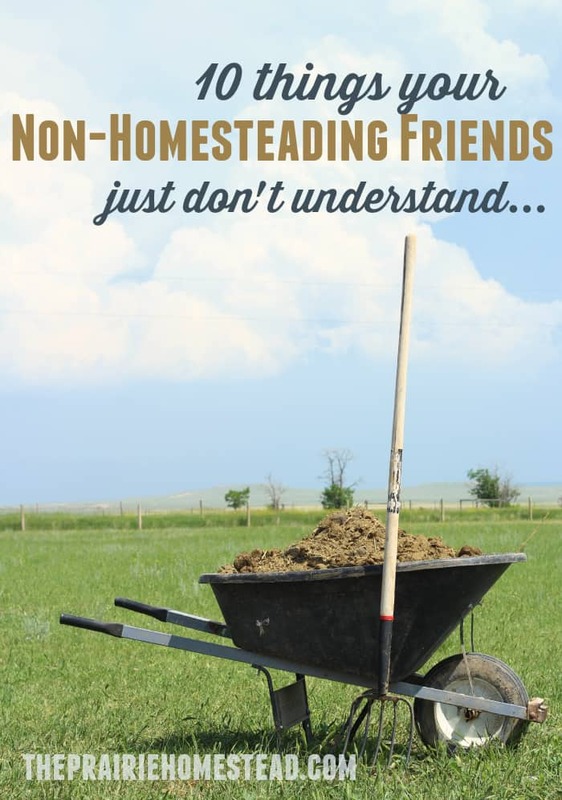 Like you said, you could invite other homesteaders to share in the “chores”, but wouldn’t be even more delightful if the friends that weren’t could join in as well? Maybe one day set aside as a barn party? I’ve done it before; had simple lessons in the gardening and harvesting, canning and all of my friends participated. Then took home some of the bounty! They were ecstatic over it and look forward to next the meet up! Love this post! I would even say some of the same thing as an urban homesteader! Some things would obviously come off and others would be added. Like growing veggies in your front gardens instead of annuals or other non-edibles. And even collecting rain water can make people look in the city. Hehehe… wouldn’t that be funny in a Christmas card? ha! YES! YES! and YES! “Embrace the poop” 🙂 I have learned to love manure over our 2 year journey into homesteading. And the rest of the article is spot on as well. Some people just don’t understand! We do it because we love it! Love this list! And, it might describe me in a few years! We bought property while living in another state with the intention of building our dream home after we moved near by. So, we moved into a rental house 6 miles from our future home, so I can be on site for the build. Too much rain has delayed our driveway, so I’m reading and learning about the native plants I anticipate planting, the wildlife I’ll be seeing, and the peace that will come from our little place in the country. Once we are settled in, we won’t to leave except to visit grandchildren when they’re not visiting us. Around here, many people have ‘a lake house’, to which they travel many weekends. Not for us! We will be at our happy place everyday, without having double work to do with yard work etc. Since we purchased our property, a Wal-Mart has been built about 5 miles away. Just because it’s there doesn’t mean we will be shopping there! My memories of childhood are filled with working in the 2 large gardens we had for our family of 6, the annual “stewing hen” butchering of old layers gotten from my Uncle Bob who had a large layer setup and all the canning we did from both projects. Chicken and noodles from a canned chicken and home rolled and dried noodles made from the eggs from Carl (2 miles down the road where I walked to get 5 dozen eggs from his large group of free range chickens) are a different meal altogether compared to “store bought” ingredients!! Mom’s “scratch” pizza still lives in my taste bud’s memory and even though I do eat take out pizza WAY too often, I want to try MY hand and duplicating Mom’s!! Each fall we would get BUSHELS of peaches at a fairly local fruit stand (that is still there!!!) and the aroma of peaches canning wafting through the kitchen would drive a person crazy in short order. In the decades since I’ve taught myself much about butchering learned much about the proper way to handle and “age” most meat and also worked in the meat department of a couple small local groceries too and like the home canned or “scratch” foods Mom made ( I was always in the way watching and wanting to “help”, often getting told I was a “house plant” and told to go outside) and I have a plan in the works for the next to years to “shift gears” since retiring and go back to a life that include s all the above and then some! The one big “PRO” to all the factors one wants in their homestead is the fact that each activity can be geared towards not only how much time you wish to spend doing each, but thoughts given to where and how to do each custom builds the project to even physical/age issues. Blue Lake “Pole” green beans and strawberrys grown in raised beds are examples one can easily alter the “old ways” to accommodate aching bodies. Even meat tables or”dough rolling” surfaces built to the proper height offer wonderful relief to us “old” folk. A little thought and planning on each aspect makes most of it seem like a lot less work ……because IT IS. Those that want to retire and “no longer work” sometimes find out their bodies don’t adjust like they think they should and the loss of activity on worn body parts is actually a NEGATIVE thing. Few realize too that the “work” of a homestead can be geared in a lot of ways to not only give a person some needed stretching and blood circulating activities that are VERY fruitful in themselves but it’s not like punching a clock where what you do and when you do it is dictated by someone else. “WORK” to me, is something I HAVE to do, if I want to or not. Homesteading is a “job” each of us dictates what we wish to put in it in time and effort and when it becomes “work” …..change it so it does not. Free will is useless if not put into gear!! Few seem to be able to shift into a productive mode after retiring and plan out their projects giving them invaluable results without making it a ton of work too. For years many have this “dream” of not working and have linked duties of any kind to what they may have come to hate after decades of working for a paycheck. Maybe when friends and family come visit when all is in place and up to speed they will accompany me on the way to the small barn to feed the chickens and quail and collect eggs and turn the pair of beef cattle out into the pasture. On the way we will swing through the garden and grab a couple ripe strawberries grown at waist height and watch a couple morning honey bees from the hive grab nectar for fall honey, thump on the rain barrels feeding the drip lines to the garden, check the potato towers to see if more soil is needed yet and make sure the snap beans are not needing harvested again and maybe kick up a rabbit out of the blackberry patch. If the smile on my face while we do so isn’t proof enough for them that this is a different and better way of life, I’m betting the smile I put on theirs with home cured and smoked bacon, fresh eggs and potatoes with onions will be. I couldn’t agree more with your thoughts on “retirement”. I’ve often thought that it’s a huge detriment the way most Americans “retire” and then do nothing. Our bodies were make to move. You are an inspiration! Yes, I can relate, totally! Especially the hands part. I admit, out somewhere where “dirty hands” are a strict no-no (around nurses and doctors), I do struggle to have my hands cleaned up. But if you’ve been putting up something that stains, like cherries, then THAT ain’t gonna happen because it’s a stain, not dirt!! We live about five miles out of town, on a gravel and/or asphalt road that’s off an asphalt county road, that’s off the highway, and still we get Electrolux sales people, guys selling meat or oranges out of a truck, and certain religious groups that commonly go door-to-door in town. Yet, we don’t get pizza delivery, cable TV, or taxi service. I don’t get it. We love living where we and our neighbors can’t talk to each other out of our respective windows, or hear their arguments. We love hearing the birds and tree-toads singing rather than sirens. Yesterday, as we watched out our patio door, there were twelve or so fledgling wild geese, one parent in front, one parent on the end, walking single file across the field on the way to what we call “Jay’s Lake”. We had an appointment in town later, and as we passed “Jay’s Lake”, we saw them all on the edge of the water, chasing bugs, dunking in the water and so on. You just can’t see stuff like this in town. Hubs and I are 68 and 72, and we hope we can stay here for the rest of our lives. We tease each other about having to drive the lawn mower into town. Heh. You’ve got it made Ilene– what a wonderful life! I love reading your blog and emails. We lived off-grid for a short while and loved every minute of it. Circumstance dictated that we move back to town, but I still miss the times when we would wake up to the absolute quiet of the morning. I remember laying in bed early one morning listening to the silence and asking my husband what silence sounded like to him. 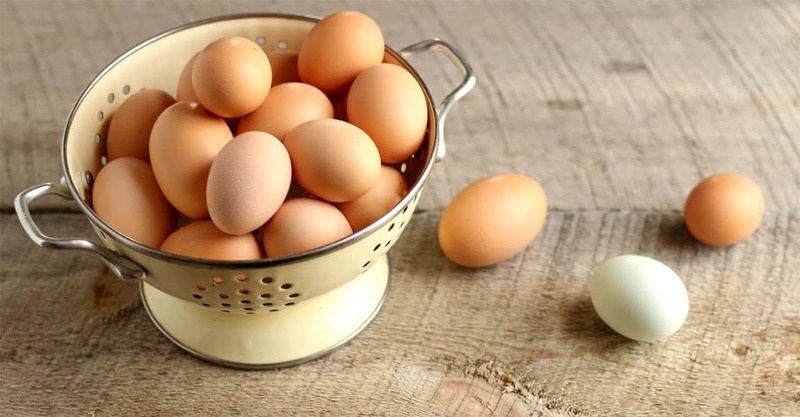 I was so excited when we got our first chickens and could hardly wait to collect the first egg. I loved milking our nubian goat “Molly” and my husband who is lactose intollerant throughly enjoyed that milk. We haven’t found any goat milk in town that was as sweet as our Molly’s milk. We made wonderful ice cream with that milk. I don’t remember how many “hand crank” ice cream freezers our friends brought when they came to visit. They all wanted to make sure we had plenty of ice cream when they came visiting. Being off grid meant that we didn’t have much freezer space (our refrigerator was propane with a very small freezer) so I learned to pressure can our meat. It was wonderful because when we had unexpecated company I just had to go out to the cold storage (our partially underground building), choose the jar of meat we would serve for dinner, heat and serve a wonderful, quick meal. Our friends from town would visit often because they loved the peace and quiet of the country. Our house was not picture perfect, ( in fact it was a WORK in progress) but one of our friends ended up taking 5 film rolls of pictures on her first visit anyway. They would go out after dinner and lay on the lounge chairs to look up at the stars in wonder as they listened to the creek meander by. It has been 11 years since we have been in town, but I still have my wonderful memories and yearn for the “old days”. Blessings to you as you enjoy every minute of your special life. Beautiful comment, Elaine. It’s hard work, but such a fulfilling lifestyle, isn’t it? and I show up at walmart with my hair a mess, in sweat pants with bleach stains because I need another gallon of bleach to finish cleaning out the water tanks before I got to a full time job. who has time (or actually cares) to shower, change and then drive into town for that extra gallon of bleach? So perfectly said. I shall be passing this on and maybe even nailing it to the gate. Love this post! 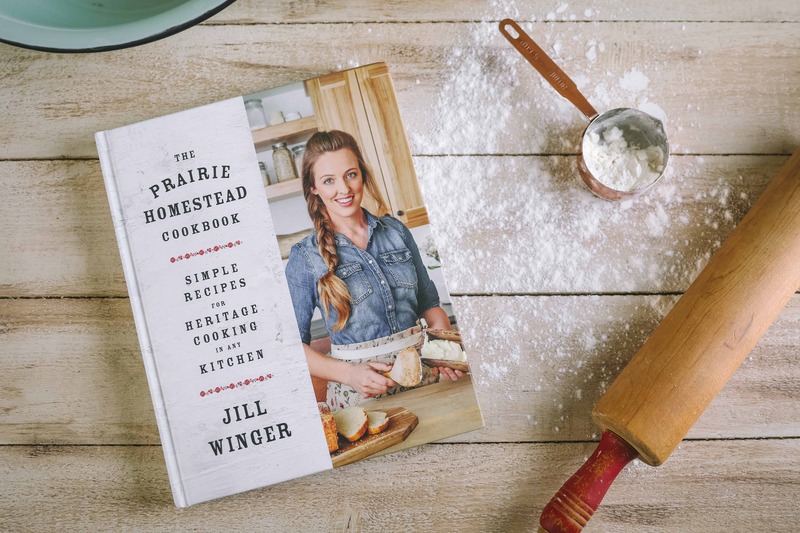 As a homesteader newbie, I can already relate to a lot of your points here! I was just saying to my hubby this morning that while most women would have a fashion magazine to flip through, I sat down excitedly to flip through our feed and farm store flyer! My husband, my son, and I are so right there with you! We get no greater high then spending a 3 day weekend accomplishing some homesteading project that we have been dreaming up for years…and then falling into bed more tired an dirty then we have ever been…and then the next morning looking out on our work and saying…”Can you believe we actually got that done??? ?” We were actually just talking amongst ourselves about how we just listen to our “normal” friends now and say little about our own lives because there is just such a disconnect there in lifestyle. I wish I could send post this on a shirt and everyone I encounter could read it. And for the record i am 10 minutes out of town but we still grow our food, can it, bake our bread, make our clothes, etc. Its definitely doable and very much makes my family happy. You bet! Folks IN town or even on the outskirts can totally make homesteading work too. Keep up the great work! Thanks for taking the time to write this. It is nice to hear and learn from others who share in the same passions. I so get everything that you are saying in this article. The one that kind of stuck out to me was when you were talking about wearing your muckers to town…On the rare occasion that I do go to town I like to wear my dog chewed yellow muckers. I always say to my husband they make me feel like a farmer…For me the symbol of the yellow muckers represent hard work, laughs, tears and a get it done mentality. Keep up the great work Jill! Amen Elizabeth– couldn’t agree more! Ahhh, I kinda feel I am reading a ladies column only. Is that true? All the comments seem to come from a great bunch of women. I thoroughly enjoy your writings, Jill. Continue in God’s blessings. I definitely have a lot of female readers, but there are still some homesteading guys in the bunch too. Glad to have you Ron! You took the words right out of my mouth! Embrace the poop! LMTO! There’s just something about having the room to shoot off your own fireworks on Independence Day and noticing that the trees in the background are twinkling with fireflies. That kind of amazing display only happens in the country! Oh yeah. I get made fun of and people do get upset thinking it says something negative about them that they don’t garden or can or whatever else I am doing. I was just talking to my herbalist about some of this. Our priorities are different. And we like being who we are!! I giggled through this in complete agreement from dirt in nails is the new french manicure, country living, children raising and Ill call back after seeds are planted and ___. I’m one of those ancient senior citizens who doesn’t want to give up all that to go and be waited on in a lodge somewhere. What would my little patches of dirt and my “livestock” do without me? I like #3 and #8. Food you grow yourself is much better than store bought that was picked too early and shipped for days to the local store. Number 8 is appealing as well. I like to live as far away from a city as possible. Lol…… I grew up on agricultural land….. Most of it being orchards, but we also had a huge garden, a few dozen chickens, and lots of work. This post is me to a T…..I would rather spend a wet messy dreary day outside playing in the garden than a beautiful day at a pool party……translation: my converted city girl girlfriend thinks I’m absolutely out of my mind. When we bought our house I insisted that it have good sun, good yard space, and be in an area where HOAs couldn’t prevent me from having a real garden, compost area, and the option to have goats, chickens and bees. Most of my neighbors think I’m just crazy since I spend nearly every waking moment in the garden or yard making improvements, weeding, harvesting or planning. But there are a few who have asked me to help them with starting a garden and teaching their kids or grand kids how to grow things. My dream, which may come true in the next couple of years is to find a piece of property that has mixed zones….pasture/bottom land and wooded….that I can build a comfortable home that is as modern in amenities as possible, but completely off the grid and self sufficient. I want large gardens and orchards to grow everything I need with plenty left over to sell at the local markets, and livestock to provide meat and dairy. I lived most of my first 17 years on a farm with a simple and fulfilling life, then I’ve spent 22 years dealing with cities and congestion, pollution and noise….I would like to spend the next 20-40 years, or more with dirt on my hands and knees, straw in my hair and fresh air in my lungs….not to mention fresh pies, canned veggies and fruits, pickles of every type and all natural jams and jellies…… 🙂 🙂 🙂 :-)…….I just need to decide on location….. Your dream sounds pretty much perfect to me Adam! Hope you get back to your farm roots soon! This just makes me want to move to the country all over again. We just bought a house in a smaller town. I wanted the country but circumstances dictated a town living scenario in a town with bylaws not allowing anything more than normal pets. My parents keep telling me I don’t want to live so far from town, I don’t want to take on all that work, whatever else. One day! I will get my patch of dirt and my animals and huge garden and I’m sure I’ll love it. I’ve totally considered doing the tent thing, ha! Everyone around here goes to the “mountains” to camp, but there are more people there running around than at our house. I figure, why bother! I can relate to everything but baking bread. The one that stands out the most is the hands/fingernails. My co-workers would just shake their heads and ask “what have you done now”, especially when its apple butter time. My hands get so stained from the apples and it take a bit to wear off. We also have cows and chickens, so most of the time I smell like animal dung. Jill I agree. 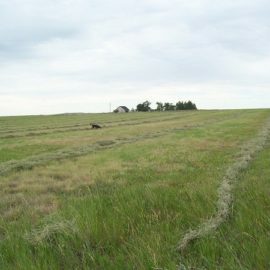 We put up hay with Percheron horses -mow the hay with two teams, rake it with one team. My husband and boys enjoy doing this. We get comments, some enjoy watching, especially the ones that remember it growing up and others don’t understand. I enjoy scratch baking and cooking. I know a lot of my friends eat out. Its a treat if we go out. 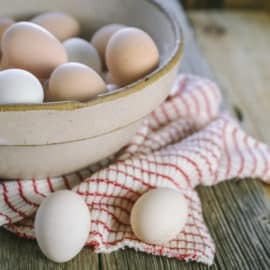 I love growing fresh vegetables, picking eggs, butchering chickens, milking cows and seeing everything grow from horses, calves, chickens, and plants. Thanks for the website, I enjoy reading what I love to do plus getting new ideas! This made me laugh out loud. It is so true! Some of our friends and family think we are crazy, but for us it’s just good fun. We get so much fulfillment from our little homestead there is no way we could ever go back to any other way of life. Happy homesteading! Knowing that everything on your plate came from your own backyard really is the best seasoning. Loved that line and this post. I have a rule at my house. “If you have come to see me – you are welcome anytime. If you have come to see my house- make an appointment! ” I have way to many other things to do then worry about a little dust on the shelves or so cobwebs in the corners. Besides the spiders eat the flying bugs and I don’t have to pay them. The very few friends I have left get my homesteading lifestyle. Many don’t understand why I am moving 1500 miles away. One of the big reasons is I can garden almost year round! That and I don’t enjoy dealing with frozen water tanks and wind chills of -40°. Been doing it all my life. Now I want to work a little less hard and still enjoy doing my gardens, my critters and Mt canning. Besides, more chores for the teenager help keep him grounded to what is important instead of in trouble grounded. If you come to visit me, you will most likely be given a knife to help prep food for canning. All my friends have learned to wear grubby clothes and to bring their favorite kitchen or garden tools with them depending on the time of year. If it is a slow time, we all still spin fiber or knit or crochet. My husband always says that all of this is cheaper than bail money, plus it tastes good or is warm. I actually go over to a friend’s house once a week to sweat like crazy and help her with her market garden. I get all dirty and sweaty and you can’t wipe the smile off my face. Oh, how good for me to hear that there’s other people out there like me! I have a small scale farm, I am a homesteader, I have a family of school aged children.. and a grandchild that likes to visit us on the farm, I’m up early to milk the goats and do the barn chores (and I have a job ‘off’ the farm too)… phew! So my days are full as you can imagine!! But I chose to live this way with my family.. and love it!! It’s rewarding, satisfying, and fullfilling! We do so much more on our 20 acre homestead. Alot of our friends and other family members don’t understand our fullfilling lifestyle! I find alot of peace while at home on our farm. I have no need to ‘get away’.. my resort is right here! You are singing my song! I love the dirt under my nails, my overalls and all my farm animals. God has blessed us with 3 1/2 acres and I homestead every foot of it I can. Great post; you said it well. We are considered an odd bunch by most but they don’t realize we are are not dreaming of our future like many but we are truly living our dream. Life is good on the farm. Our neighbor tells me I am the hardest working woman she has ever seen. Little does she know that to me it’s not work; I’m enjoying every minute and living my dream. What a wonderful life, I’m truly blessed! Oh yes– those definitely come with the territory too! I grew up on a small farm and in most cases, if we didn’t grow it or raise it, we didn’t eat it. We had many fruit trees, a large spring/summer garden and a large fall winter garden. We raised pigs and smaller on our place, even raising enough rabbits to sell to the local butcher house. 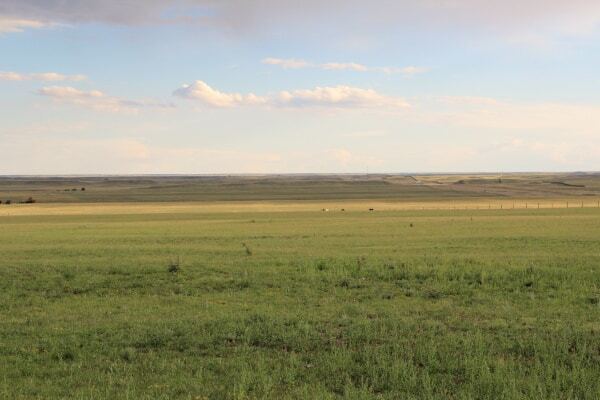 My uncle had a bigger place about 5 miles away where the cattle away such were kept. Needless to say, canning, baking, sewing, all that took place in our family. I didn’t even know we were poor until I was grown! I followed a different path and lived in the city, but even now that I am retired in a nice manufactured home in a park, I have my garden out back, and what I can, I put up. Our grand daughter came to live with us last year (at 17) and told me all the things she doesn’t eat. That list included tomatoes and other veggies. I had her help me pick some cherry tomatoes and told her to eat one. We went round and round. Finally she put it her mouth to prove she hated it and her eyes got big and she gobbled it down and grabbed another. 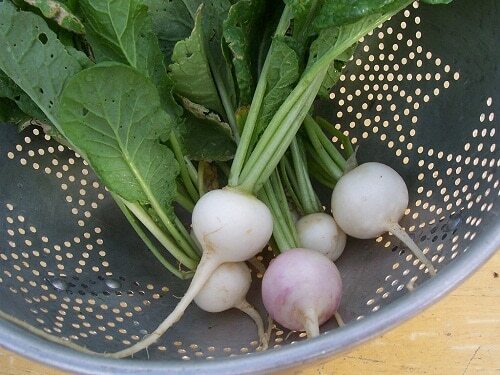 Turns out that kid likes all kinds of stuff out of grandpa’s garden! You’re so right about homesteading wherever you live! I dream of having a big house out in the country with enough land to do a lot of self-sufficient homesteading, but right now we live in a suburb right in the middle of town. My back yard is about 30ft by 60ft. I grow as many vegetables as I can in my 4×6 raised bed, and I have 3 chickens (with plans for 4 more in the spring!) It’s 100% possible, even if you’re 5 minutes from a Walmart, Walgreens, 2 Starbucks, Albertsons, Winco, and a Smiths… ? Yes ma’am I can totally relate. We are now within 10 minutes from a Walmart though. It wasn’t like that when we moved here 21 years ago. I do use the Walmart and even sometimes visit the sonic that are now close by I could totally live without it. We used to schedule our trips to ” town” once a week and stay gone most of the day getting all of our errands done. I prefer to stay home and I think most of my friends wonder how I don’t get bored staying home so much. Well, I’m busy and I enjoy it. We homeschooled too so by the time I would make breakfast, get hubby off to work, homeschool, get dinner or lunch in crockpot, do animal chores, tend to the garden, let the kids play outside, work on Some project, along with normal chores of cleaning and laundry it is time for dinner. We have tv but mostly watch it for news early in the morning and then at night after dark unless bad weather then we might play a video game or watch a movie. Now that we only have one child left at home ( she just turned 18) we have talked a little about moving to a neighborhood one day. Neither of us really want to. I think we would then get really bored. So instead we bought 3 nubian goats and hope to be able to milk this spring. Lol. That’s just the type of folks we are. It is hard work but we love it! I too, shared it on Facebook. This is pretty much how I raised my kids and I miss it a lot! It’s a good life! I think some of us were born in the wrong era. LOL I love making all of my cleaning products. And all natural living is great! I’m learning all I can about herbal remedies, and essential oil uses. I don’t use petroleum products on or in my body. I would love to be totally self sufficient. Even though we only have an acre of land, I still want to grow as many of our foods as possible. There is a meat packing company about 20 miles from us and I’d love it if we could buy our meat from them once a year. Beef and chicken mostly. I’m 65 years of age, and the older I get, the more old-fashioned I get. I love making my own bread and canning and dehydrating our food stuff. We have too much junk in our store bought food stuff. Just MHO. Living 45 miles from nearest town and 6 miles from nearest neighbor and loving every minute of it. Now on our 18th year of homesteading and totally “off the grid” living. My husband and I are currently in escrow on our first genuine homestead property – 7.5 acres of open space in a small town in northern Los Angeles. Yes, we are still in California, but far enough away from any big city (let me breathe that clean air). We have been doing our best to have a little urban homestead in our city tract home. We keep chickens and raise a lot of our own fruit and veggies. But we can’t wait to get our hands in 7.5 acres of dirt! ? We totally identify with everything you and the other commenters have said. Most of our friends don’t get it. They think I’m a little cooky to raise chickens, collect eggs, grow food, make soap and lotion and laundry detergent. And that fingernail thing! I sure don’t fit in with most of the women I know. But I’m good with that. I’d rather wear a comfy pair of jeans and a Tshirt that has holes in it from my chickens that I can’t resist picking up every day, than wear anything else. And does anything feel better than a good days’ work in the garden? I think I’ll stay happily weird. Let’s all be friends and we can be weird together! ? This is one of my favorite posts!! I can SO relate and am certainly the “weirdo” in my family and circle of friends/acquaintances. However, I’m enjoying the process of homesteading on my small city parcel, along with having less stress. My husband and I are also considered weird in his huge family. When they come into our kitchen they say its just one big experiment after another ( we like making things like kombucha and such ) we have over half our small acre in gardens, we can and freeze our produce. We don’t have enough room for cows so we buy our meat from our friends who raise them grass fed, which is awesome. We wish we could find & afford a bigger place and farther out in the country but this will have to do and it is nice for what it is. 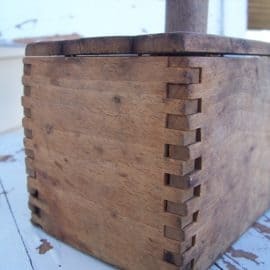 I do so enjoy reading your Homestead Toolbox every time you pop up in my email, Thank you. Shawn A. Back in the late 70s my husband & I & 6 young children moved “back to the land” in rural Wash. State. I had grown up in an affluent suburb of L.A, an only child of 2 career-oriented parents. When my mother finally came to visit our homestead & I was proudly showing off our chickens & goats & my garden my mother stood shaking her head in bewilderment. She said, “I grew up on a cotton farm in Arkansas, working ourselves to death & I swore no child of mine would ever know such hardship. And yet, Here you are.” She never understood our choice. I need info on making the raised beds like yours. I am pushing 70, cannot get on my knees to garden my beds any longer due to arthritis and replacements but, I love fresh foods and have canned since I was 8. I wondered what you filled the beds with. We are pretty much dead center in town but have a nice back yard with pecan trees & plum tree. Also, how do you turn the soil? My small tiller died and I hate to invest in another at this time since my husband was just diagnosed with possible pancreatic cancer. I raise my own herbs and usually tomatoes and peppers until this year. So, I really need to be able to plant as much food for us as possible to save money. Would having top soil trucked in be best or buy it at the home stores and mix with fertilizer from my daughters chicken pen? It has been a long time since I took care of a full sized garden. Any advice would be appreciated. 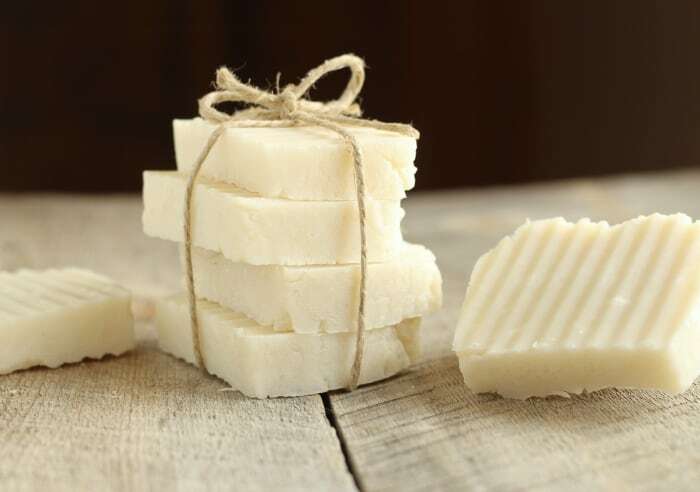 And keep making that soap. I have the utensils and molds but, haven’t made it in a long time. I put colors in it for the kids along with a simple toy from the party favs aisle. They loved getting down to their treasure. Dirt under my fingernails? Check. Love being out in the boonies with no one around? Check. Lots of projects on the go? Check. Always do everything the hard way? Check. I also feel like a weirdo compared to other people, and I feel guilty because of all of the above when I’m around non-homesteaders. I guess I just fit in with a different crowd. Thanks for the encouragement! Thank you for this list. It is so true. There are some who get it and then there are those who don’t. Very well said. The only thing I would say is I do love my hard working hands with their scares and wrinkles but I really do miss manis. It’s all for a greater good and I would not give up a thing for my pretty nails back. Great post! We can relate! We have 14 acres where we hay, grow meat chickens and heritage turkeys that we butcher, raise cattle, have a small orchard and garden. A year ago we lost two huge river oaks on the property and people didn’t understand why we didn’t hire someone to clean them up! My husband said, “The good Lord knew we needed firewood for the winter and He dropped those two tree on our property so I didn’t have to go anywhere!! !” He has worked his behind off cutting, splitting and stacking over 20 cords of wood and has another 10 to cut. We both work full time off the property and when my coworkers ask if we want to go out for an event, they cringe when I tell them we have to butcher chickens, turkeys, sheep, calves or that I have to go home and can some fruit or vegetables, so now I just politely decline. We love our lifestyle and wouldn’t want to be in a cul-de-sac with neighbors any closer than they are. Life is good and hard and very rewarding when you know where your meat comes from, that you could make it if the power went off and that you have heat and water sources without going to town to get trampled if the power went out! Thanks for sharing this!!! We are in the process of fixing a 30X60 two story barn built in 1920-ish. The best way to hang out with us is to show up ready to work or at least paint! Lunch or dinner is provided plus a lot of laughs! Awesome read. I signed up when the Rhodes family visited you but this is the first time I have found the time to sit down and read one of your emails. Loved it, keep up the great work. I come from a family of farmers that mostly faded away with my parents generation. I really enjoyed the farm when my great grandparents were still around, but entered the corporate world and lost touch. I now have 3 young boys that showed interest and I want them to get to experience it like I did. We jumped into homesteading about a year ago and now have a freezer full of our own chickens, abundent eggs, and more zucchini, tomatoes, and squash than we know what to do with. Tonight my 10 year old gets his first 4H check from chickens he sold at the fair. Proud of his accomplishment, and looking forward to the future. I can totally sympathize with you for the looks/vibes you pick up from folks who think your trying to be super mom. As you said it’s just a matter of prioritizing what is important to you. I was a single mom of 3 before permanent press clothing was the norm. While I put myself through school for a degree in engineering & was a Girl Scout leader for my oldest daughters troop my version of ironing clothes meant the kids new if the outfit made it to the top of the pile & it was still wrinkled then it went back to the bottom of the pile for more “ironing time”. You have summed up homesteading perfectly! I have wanted to live this lifestyle since as long as I can remember and my husband and I are so very close to living the dream! Moved to Montana last year (originally from Washington State) and if all works out we’ll own our little piece of heaven next year. I just found your site/blog and look forward to reading through it. 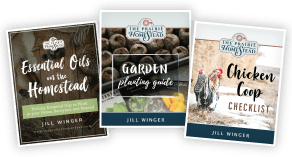 Jill I love your homesteading blog best on the internet when I open my email yours is the first one I read realy liked this post. Homesteaders have a need they are drawn to have a close connection with the earth plants animals. We love the lifestyle their is nothing better than to look down at your dinner plate and have the satisfaction of knowing every thing was raised on our farm. Sometimes when I go to town to feed store people look at me and guess if I am homeless or hipster. A lot of our friends and realatives thank we are crazy. We are retired now we have plenty of money to live almost anywhere but their is no place I would rather live then here on the farm. YES on all of the points!! We too, live out in the middle of nowhere and we LOVE it! When conversing w/family and friends (they know where we live) and they say,,,,”just run to the store for it” and I have to say….”hello?? My nearest BIG shopping space is a 100 mile round trip”…they say..”oh yeah, I forgot.” and giggle. Yes, we get snowbound, yes, our roads are not the greatest, but oh, the peace and quiet. We love our little farm (our children grew up here and our 16 grands frequent our abode on a regular basis) with our few goats, two steers, cat, dog, 2 miniature donkeys and some chickens. Huge garden that we can from each year and it tastes so great in Jan. when the snow is blowing sideways! We know what is going into our food and we know that it is good for us. Our bees keep us on the sweet side of life and even though we are in our late 60’s we love it. Personally, I find grubby fingernails and a few callouses far more attractive than nail polish and a manicure. 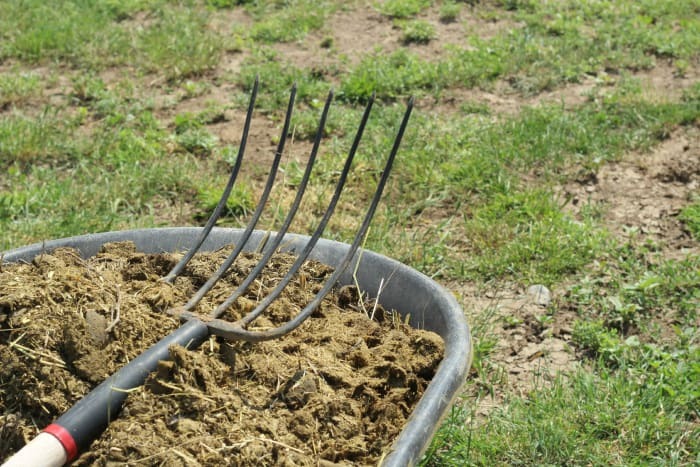 As far as forking manure goes, I agree it’s much better than therapy! Keep doing what ya do. LOL! When I got my first egg it had been stepped on and had a slight hole. I blew it out, washed it, put a beak and google eyes on it and covered it with feathers from the hen who laid it! I never get tired of collecting my eggs and thank my girls everytime. Or sometimes on a bad day, tell them to get with the program! Yes. Yes! YES! Loves this. And I love seeing all the comments from other people who feel the same way. I love the hard work of it and I love the look of my pride on my daughter’s (5 years old) and son’s face (3 years old) when they do hard things. The peace, the fulfillment, the tastiness of living this way is the best. Thanks for so eloquently and humorously putting how I feel about this life into words! Do not abuse the trust of your respective mentor by constantly requesting information that you might make do reading. A few suggestions to incorporate this space into the property marketing plans might include:Advertise “featured listing”. realtor because they are well-aware from the things that must be considered before building your property. lifestyle. Baroda also ranks among the best three cities if you are the safest cities to reside in in. Godrej Garden City presented by Godrej Properties is precisely located inside the North-West region of Ahmedabad known to be Jagatpur. on cash flow. The police can provide you with all of the information regarding crime rates. in the event the decedent dies. “The reason behind these healthy rental yield figures inside North West comes inside the form of research by the Land Registry House Price Index, that has shown that house prices have fallen 3. Embrace the poop! Hahaha Can totally relate, my family thinks I lost it I’m sure. This city girl went country. Loved your explanation of how we choose to do these things rather than we can”do it all”. Oh Jill I’m with you girl!! I left my heart in Wyoming. I love the time we had our little 17 1/2 acre farm. I still have a garden box here in town and grow most of my own herbs. I also heal with EOs, and all things natural. Keep on with your great life. That is so much like my life! But you truly seem to have it a bit more organized. I’m getting there, thanks to you! Love this! They are all so true, especially living a ways from town! One thing I’ve had several discussions about is raising livestock for meat. It starts a very intriguing conversation, but so many people do not see the value in raising livestock or purchasing meat from local farmers. I love helping educate others on the value and importance of it. I have no problem eating meat but I do have a problem eating what I raise. It’s dumb really as I grew up on a farm where we raised and butchered all of our own meat. I guess it’s one of those personal choice questions 🙂 I am however blessed to have a local farmer that raises cattle, pork, chickens, lamb and turkeys, all on pasture and fed organics. I do keep my own flock of spoiled rotten laying chickens though and grow all my own produce. And I love every minute I spend doing it! I live in England, in town, and work in a supermarket, so very convenient for the shopping and I walk everywhere, but the best part of the day is to come home and shut the door on the world. My garden is only 30 feet square, but we have three cats, nine guinea pigs and three chickens, a small poly tunnel and four raised beds for veg. I grow (on a small scale) potatoes, tomatoes, cues, courgettes, peas, broad beans, runner beans, French beans, lettuces, chard, leeks, turnips, parsnips, beetroot, radish, strawberries, raspberries, sweetcorn, kohl rabi and experiment every year with something new. We compost and recycle as much as possible. I love my garden and would love to have more land and animals, but that is something we look forward to in the future. Best post by anyone ever. You nailed it with why we do what we do. I especially like the hands. Eyes are the window to a person’s soul but the hands tell the story of a persons life. I am proud of mine too! Dirt under fingernails included. And cleaning stalls? I had to board my horses thru divorce and I took a job cleaning stalls at that facility every day. Thru one of the most stressful periods of my life, I found my peace while working. Everything else just went away for a few hours and it was just me and the horses. I think others look at my life now with my garden and my chickens and think “poor her” I think they don’t know what they are missing! No I don’t relate. I see the benefit in having organic non-GMO food and livestock, but farming and homesteading stress is not for me. I’m sad when farming/homesteading people judge people for leaving farms and homesteads for the suburbs and cities. I personally like the city and thrive better with it. I’d like to hope homesteading/farming people can be just as accepting and open to us city folk whom they don’t understand. We are our own brand of weird too. I personally hated the countryside and found it toxic for my health, too quiet, and too isolated. I understand that some people prefer that but I wish non-city people would sometimes understand where we are coming from that SOME people, like myself, actually feel better and thrive in the city, but that doesn’t mean all of us can’t learn some form of self-sufficiency or multi-tasking. Plus, there are plenty of ex-farmers/ex-country people who get sick of the country rat race, as it were (you may disagree or disbelieve it, but you can believe as you will). I do think its sad that country people and city people can’t get along better and find things of interest in either. However, there are some country people who are willing to concede that sometimes the country life isn’t for everyone and they sometimes even visit us city or suburban folk on our turf too. Sometimes, they can even find something nice to say about the cities. Ironically, aside from the dirt issue, you’d be surprised at how city people are also doing what not only makes them “happy” but also what relieves their stress and enlightens them.